The EVS series is the right angle equivalent to the VRS. Compact and precise, the EVS is the ideal solution for demanding positioning accuracy and speed requirements. Equipped with two rows of robust tapered roller bearings, the EVS runs smoothly and quietly even with the most challenging dynamic and static forces. 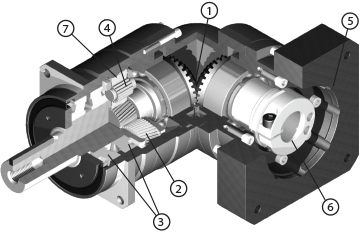 The EVS comes with ≤4 arc-min backlash, to handle dynamic machine tool and robotic applications with ease. 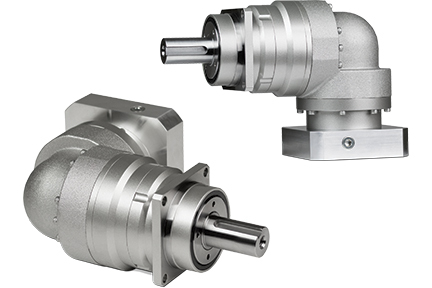 With maximum acceleration torques up to 2960Nm, this product is an excellent partner to higher capacity servomotor models. Our customers specify this product when the industry standard is simply not good enough.